You've chosen the perfect wedding dress and venue-now it's time to choose the perfect wedding favor. 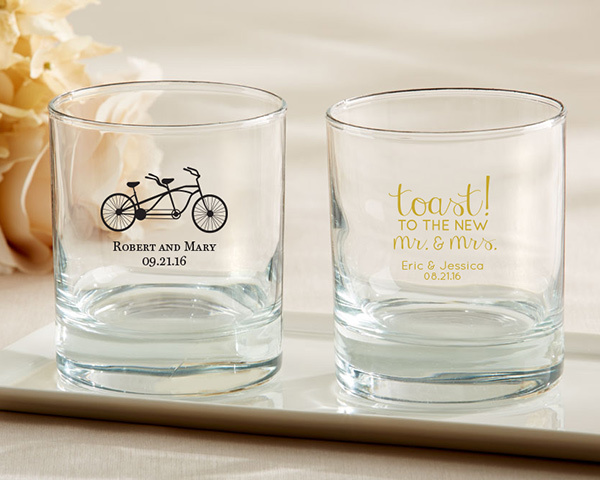 Available in a variety of wedding designs and colors, Kate Aspen's 10 oz. 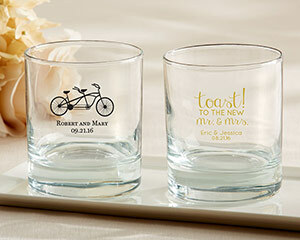 personalized rocks glasses make finding a rocking favor that fits into your theme and decor so easy! Glass measures 5.6" h x 2.5" in diameter; holds 10 oz. Choose from a variety of wedding designs and colors. Due to personalization, there is a minimum order of 36 on this item. Only available for delivery in the U.S. and Canada.